Times, they are changing for sure, I remember when I first started playing golf, there were no watch GPS systems, hand held, let alone a GPS that talks to you. 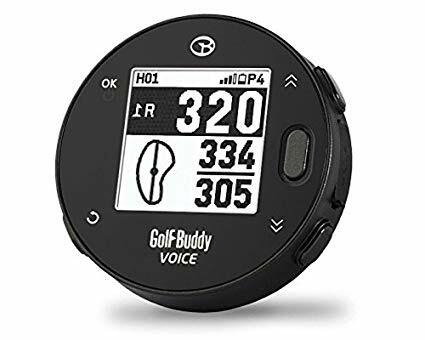 When I am on the course I’m not one to wear watches or have things in my pocket, so the GolfBuddy Voice X is perfect for me. Being only 47.0x13.6mm it’s clips perfectly to your hat and it’s like it’s not even there. After getting the GolfBuddy Voice X home and taking out of the box I plugged it in to charge. After an hour on the charger, it was fully charged. The device will last for 11 hours on a full charge! Once I downloaded the app on my phone I registered the GolfBuddy Voice X to my account and it was ready to be used. I found the Application to be quite useless other than it telling you when updates were being conducted. Another issue I had with the application was when I was trying to search for the courses I play in the area none of them popped up, but not to worry once you turn on the device on the course it pops up within a few seconds! One of my favorite features of the GolfBuddy Voice X is the shot measuring tool. 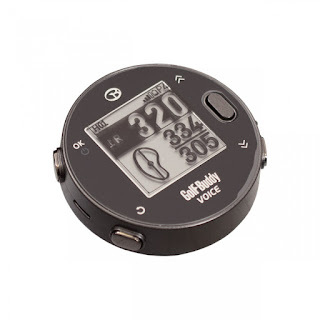 The GolfBuddy Voice X not only tells you the distance from front, center and back of the green but has a number of features! 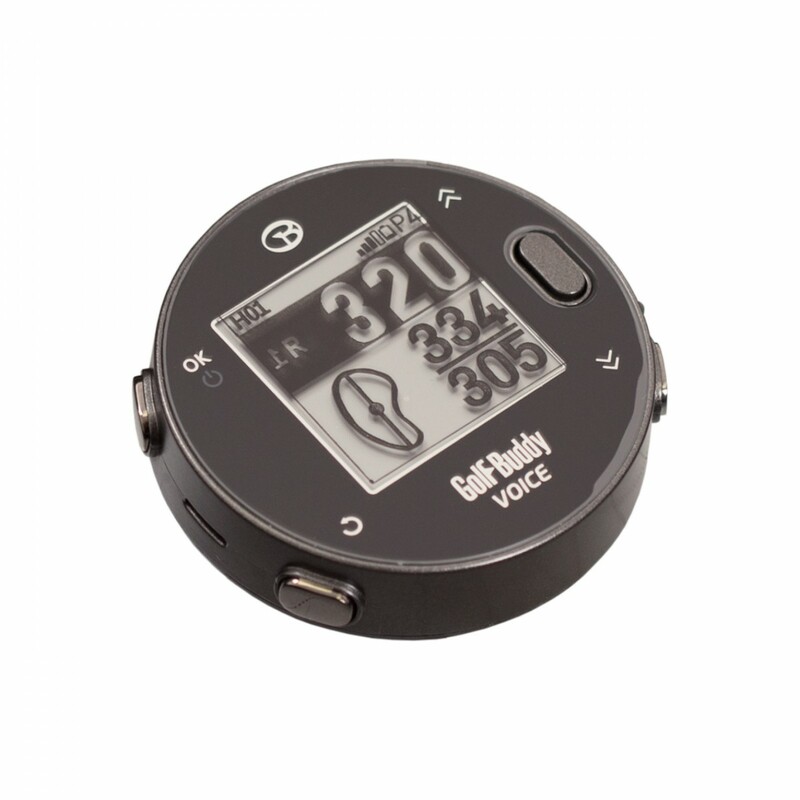 It tells you the distance from each hazards on each hole (bunkers and water hazards), shot measuring and pedometer. The Voice feature comes in male and female voices in a number of languages a few are English, French, Spanish and German. 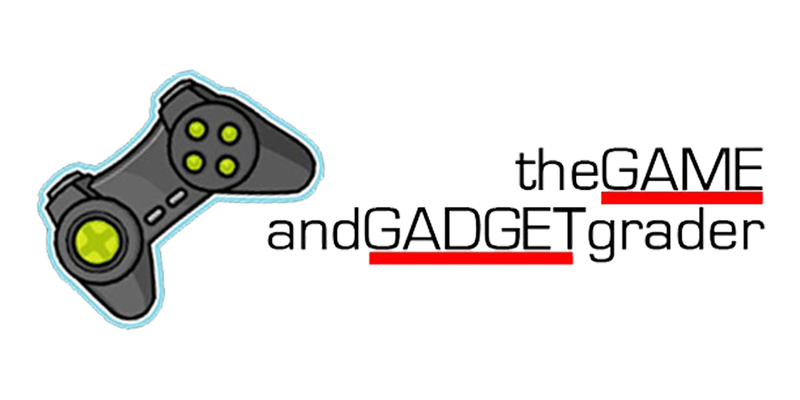 The GolfBuddy Voice X is very user friendly. Once you arrive to the course and turn in the device it takes a few seconds for the satellite to locate the device and you are ready to go. There are 5 buttons on the device, Ok button (power and menu button), back button, volume buttons and voice button. When you line up for your tee shot press the button on front of the device to get the distance to the closest hazard. 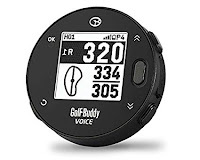 If you want to use the GolfBuddy Voice X to track your shot distance. All you have to do is hit the menu button, scroll down to shot distance tracker press ok. Prior to taking you tee shot press the same button you used to hear the distance to the closest hazard. Once you have arrived to take your second shot press the same button and it will record your shot. I would highly recommend the GolfBuddy Voice X to any golfer with any handicap. From it’s light weight and small size to the easy operation. 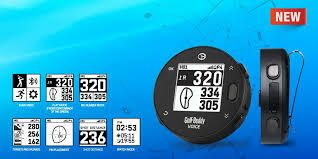 I haven’t found another golf GPS that I would use over the GolfBuddy Voice X.